Opana Dosage: How Much Can You Take At Once? Opana Dosage – What Is A Safe Dose For You? Opana or Oxymorphone works by altering the way we feel pain. This opiate painkiller is often prescribed for use when all other opiates fail. Opana dosing always has to be done on an empty stomach for it to take full effect. Opana doses are usually taken every 4-6 hours due to the strength of the drug ensuring its effects are fairly long-lasting. But how do you know what is the suitable dose for you? And what factors can affect that dose? Like any drug, the typical Opana dose varies from person to person. However, in general, it usually ranges from 5mg in instant release form and 10mg in extended release form. It is also recommended that Opana dosage is always done on an empty stomach and those instant release tablets are only taken once every 4-6 hours. A safe dose of Opana also varies. It can depend on the person’s health, diet, BMI, tolerance, and many other factors to decide what dose is safe for them. However, dosage should only be increased if stated by a medical professional. They will decipher a safe dose for each patient, so there is less risk to their health. The typical Opana dose is also commonly changed due to the person’s response to the drug. 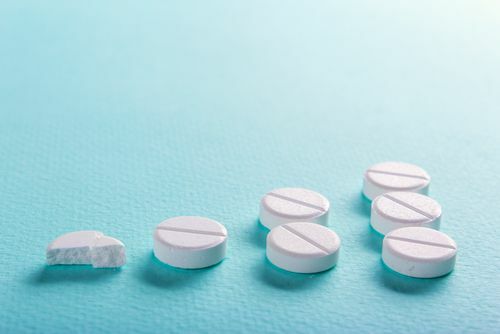 The user is often monitored for potential side effects, and if they display any that could be damaging to their health, then the dosage may be reduced. A common side effect of an excessive Opana dosage is respiratory issues. Shallow breathing is a clear sign that the user’s dose is too high. In contrast, the typical Opana dosage may be too low for some users. This may be because they have developed a tolerance to the drug, or just because their physical build means the drug is less effective. In these cases, the dose may be increased or a substitute drug used. The lowest dose of Opana to have any effect tends to be around 5mg. For many first time users, this will be enough to kill any pain they have. However, others may need to increase the amount of the drug to an average dose of Opana which is around 7-10mg. The highest dose of Opana available is 40mg, which is used for extreme pain. The more a dose is increased, the higher the danger, therefore you should never increase your dose without the advice of a medical professional. Higher doses increase the chance of overdose and therefore put you more at risk of health issues. As previously stated, the dosage of this drug can alter depending on a few factors. Some of those factors are the age and condition of the user. For example, children or the elderly may be affected by the drug more. This may be down to their bodies not being developed enough in children, or their health not being stable enough in the elderly. This means they have to take it in smaller doses. This Opana dosage chart highlights the average dose for adults, children, teenagers and the elderly. It includes both Opana er dosage (extended-release tablets) and Opana IR dosage (instant release tablets). Elderly: 5mg for IR or ER with less frequent dosing. Breathing should be carefully monitored. If it is difficult to control the drug dose, then it is useful to seek options for Opana addiction treatment. With Opana use, dosage should always start at the lowest amount possible, 5mg. This is because your body will need time to adjust to the drug. Opana dosage strength can be gradually increased if more is needed to prevent pain. However, preventative use can only go so more. Many users will build up a tolerance and dependency to the drug, so when this happens, it is important to find a substitute, with the help of a medical professional. When it comes to Opanas recreational dosage, it is also recommended that you don’t use more than 5mg of the drug. Recreational users are occasional users. This means their bodies will also need time to adjust to Opana. Gradually recreational users will build up a tolerance; however, it is not recommended to increase dosage without real medical advice. This is because the substance is a highly addictive Opioid that can cause an overdose. Like all Opioids, the drug is incredibly addictive. This makes withdrawal all the more challenging. Because of this, most medical professionals and treatment programs recommended tapering off from the drug. Tapering involves slowly reducing the dosage of a drug to reduce Opana withdrawal symptoms. However, this does not mean the user will not need any support. It is important only to taper off a substance when you have the ideal support in place, from family, friends or a treatment program. This will help to prevent any relapse occurring and help to deal with any remaining withdrawal symptoms. If you do find yourself regularly increasing your dose of the drug, you may be at risk of addiction or even overdose. If this is the case, you should contact a medical professional and find a substitute drug, as well as a way to get treatment for your addiction. For any further information on finding a treatment or the best treatment for you, call our hotline at (888)-459-5511. Addiction Resource » Addictive Substances: The Anatomy of Drug Addiction » Opana – Abuse Symptoms, Side Effects, Treatment, and More » Opana Dosage – What Is A Safe Dose For You?